Happy New Year From Safari Niagara! A Few Days Left For The Season Membership Discount. 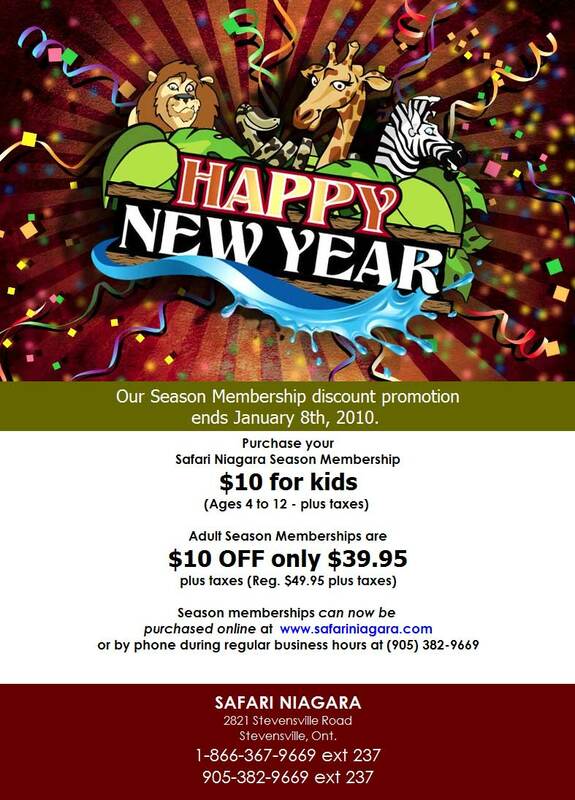 On Monday I received the following email newsletter from Safari Niagara.